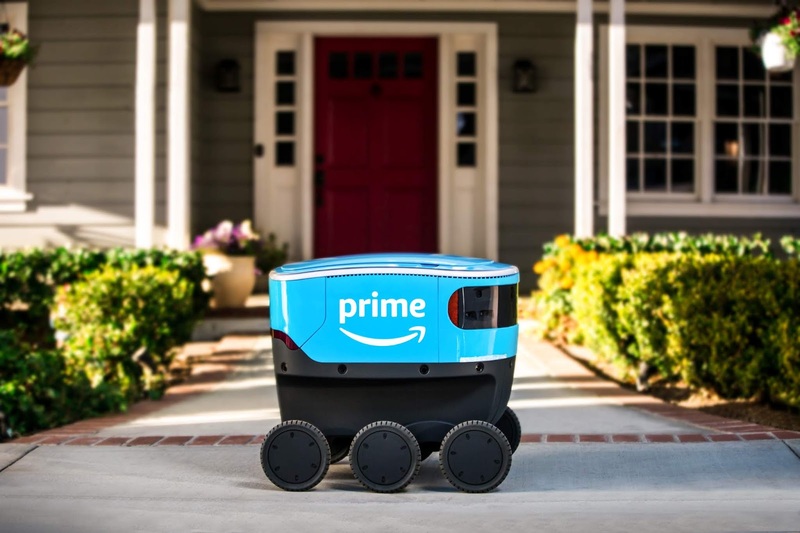 Amazon Unveils Fully-Electric Autonomous Delivery Robot, "Scout"
Amazon has unveiled a fully-electric delivery robot - Amazon Scout - comparable to the size of a small cooler that will roll along sidewalks at a walking pace. The company says it will begin delivering packages to customers in a neighborhood in Snohomish County, Washington. Customers in this neigborhood will be able to order from Amazon just like they normally would and get their packages delivered by either an Amazon partner carrier or the Amazon Scout. Amazon is starting with six of these robots, delivering packages Monday through Friday during daytime. The robots would autonomously follow their delivery route but will initially be accompanied by an Amazon employee, the company says. The Amazon Scout was developed at the company's research and development lab in Seattle, a place also home to research labs of Microsoft and Facebook. Another company with a recently unveiled delivery robot is Postmates, which unveiled an autonomous delivery robot named 'Serve' in December.